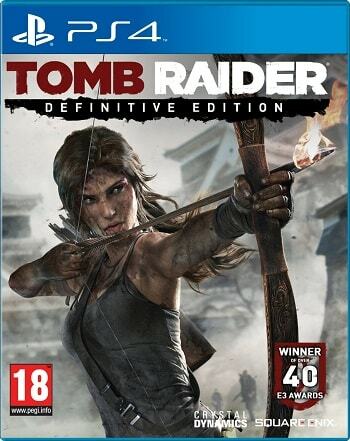 At pretty much no point when I was playing Tomb Raider ps4 and PlayStation 3 a year ago did I stop and say to myself, “man, I only wish this looked better.” Lara Croft’s excellent, cinematic reboot adventure doesn’t need extra special effects to make it worth playing.But nonetheless, playing through the Definitive Edition on PlayStation 4 and Xbox One, which stacks up against the PC version’s high resolution and fancy hair effects, is excellent. The Xbox One can’t quite keep the frame rate up at 60fps, but I’ve been appreciating the difference. Tomb Raider is still one of the best of its genre, up there with the Uncharted series – but if you’re wondering whether this version is an improved experience beyond extra visual flair, the answer is: No, not enormously. What’s most remarkable about Tomb Raider ps4 is how its many elements so perfectly complement each other, so that no matter which activity you’re currently engaged in, you’re fully invested. Even the straightforward platforming, in which Lara’s sticky hands ensure there’s little chance of failure, is thrilling thanks to brief quick-time events that keep your mind focused on even your smallest actions. There are two things that hit me when I first played Tomb Raider last year, and then resurfaced when I played through the Definitive Edition, that cement this as one of my recent favorites. Lara herself is so well crafted that I grew attached to her exploits and was sad to say goodbye when the credits rolled. And the exquisite visual design is so breathtaking that I continually found myself staring at the scenery instead of pushing onward. Tomb Raider is a great reinvention of this enduring franchise that made me eager to see where Lara goes in her future.